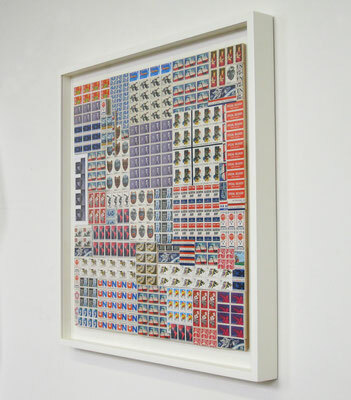 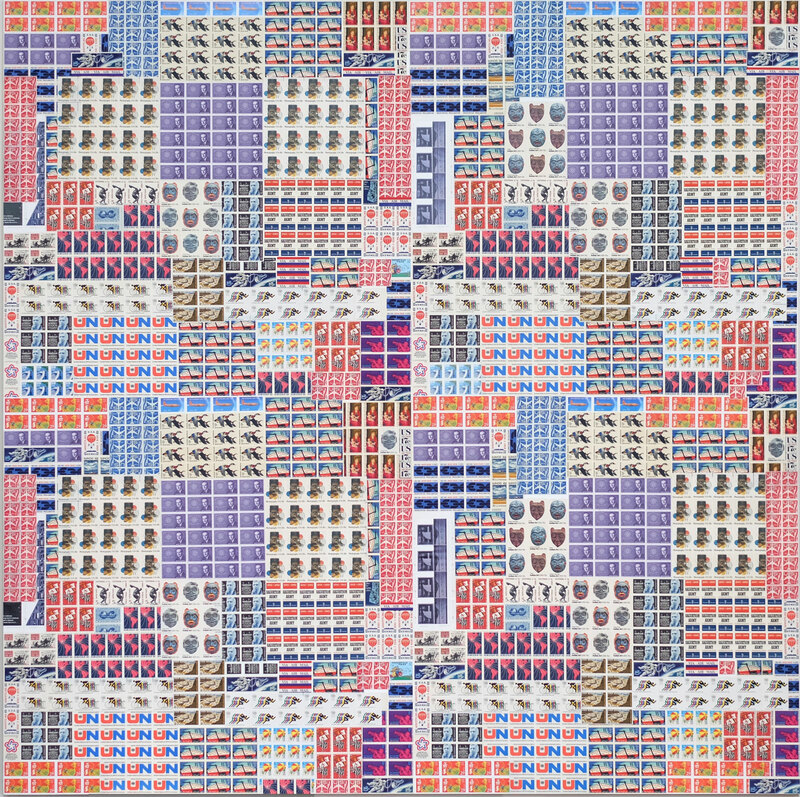 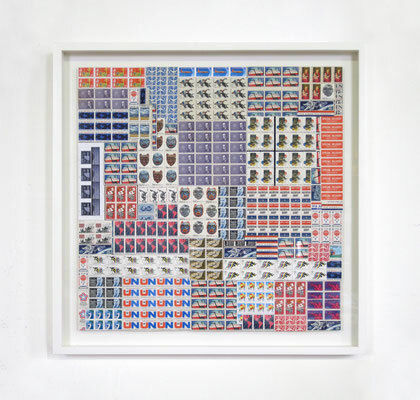 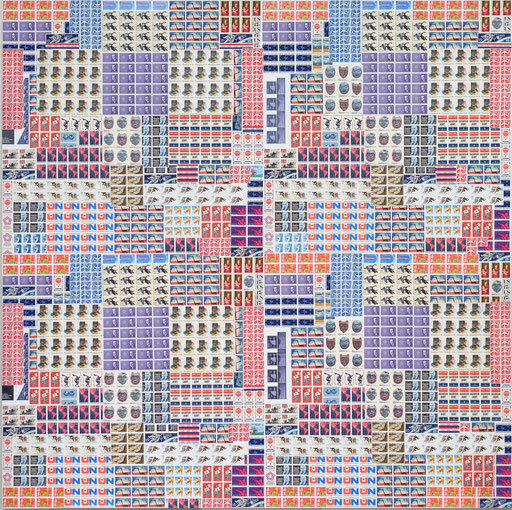 "An important aspect of my work is placing everyday objects in new contexts, in this case stamps, highlighting the incredible printmaking techniques used to create each one. 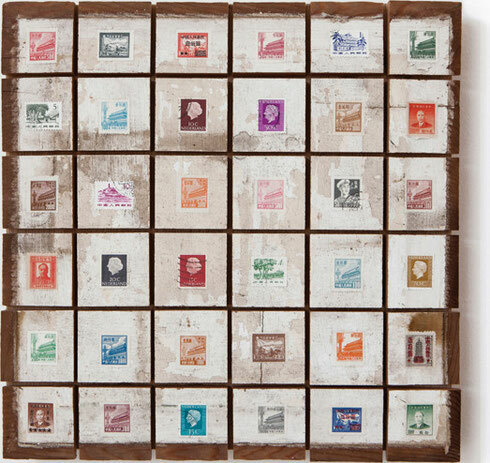 Also integral to my work is the re-use of materials, such as vintage stamps, by placing each one in an intimate setting this work becomes an artwork within an artwork. 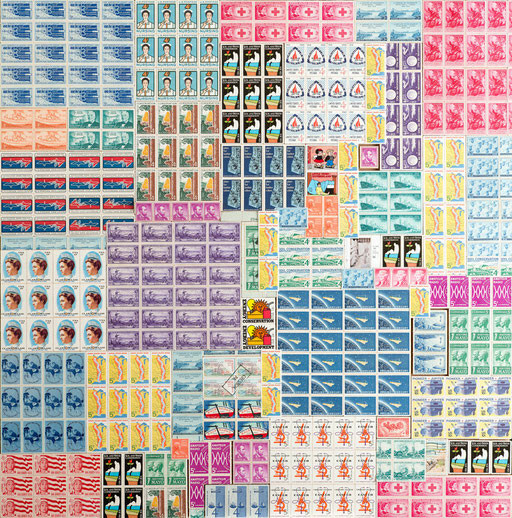 The vibrant yet soft colors explode when arranged together, and give Atoms For Peace a pop, psychedelic feel. 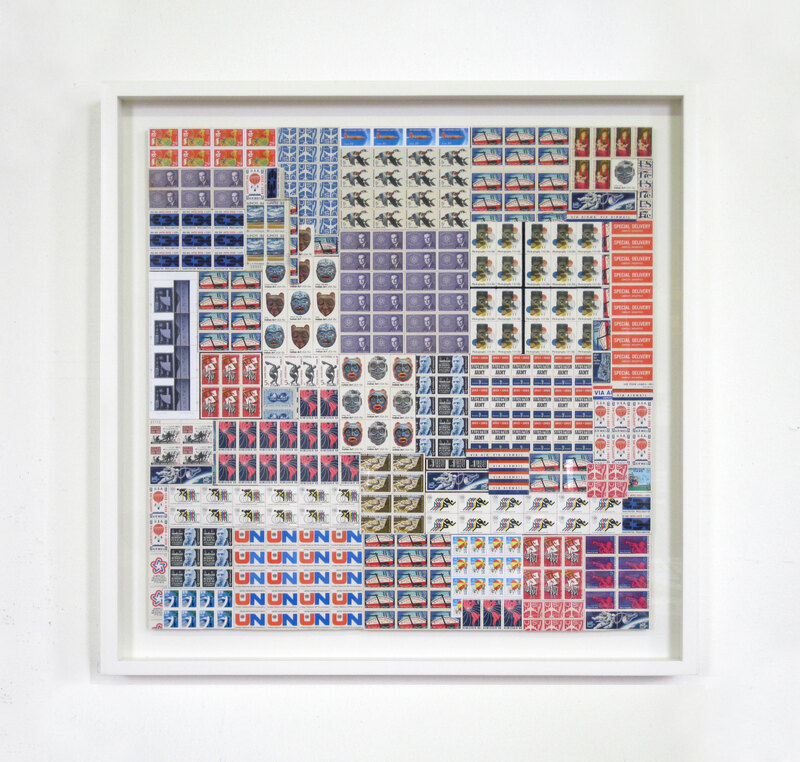 This series is ultimately about aesthetics, travel, history and the postal system itself." 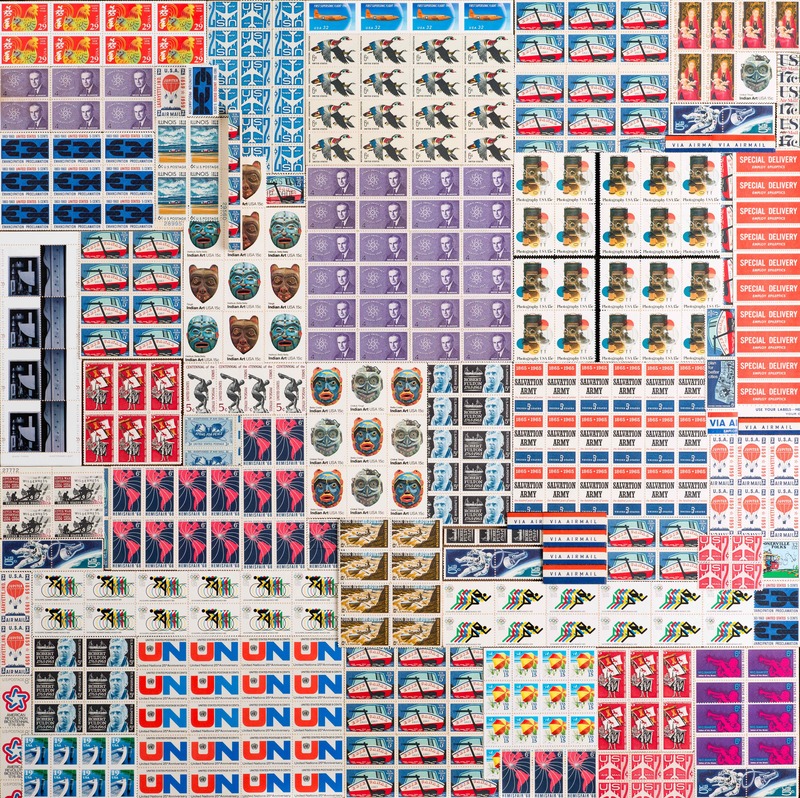 We will be in touch to discuss shipping details. Conservation/Conversation, shown below, was acquired by Royal Caribbean for their extensive art collection, which can be seen here.